With production-class automatic feeding and a large flatbed, the fi-7700 is the best of both worlds. Enable your back office to be more productive and make fewer errors with innovative features for clear, accurate scans - every time. Eliminate the learning curve. 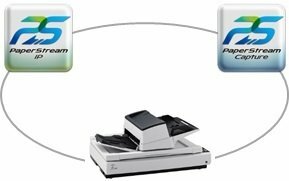 PaperStream Capture’s user-friendly interface allows easy operation from start to finish. Changing scan settings is simple. Indexing and sorting features include barcode, patch code, and blank page separation – making batch scanning a breeze for operators. Optional PaperStream Capture Pro software offers an improved feature set with superior front-end capture, image processing, and options for enhanced data extraction and indexing for release. Includes Scanner Central Admin Agent to remotely manage your entire fi Series fleet. Effectively allocate your resources based on scan volume, consumables wear, and more. On-site service helps maximize uptime. 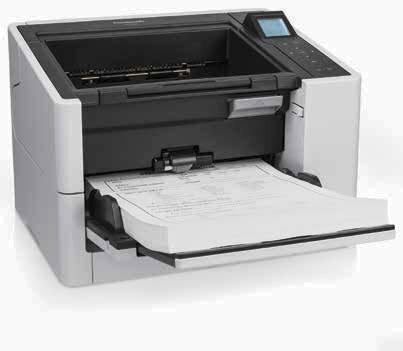 The fi-7700 scanner includes a 90-day on-site, Limited Warranty. 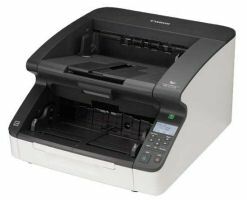 The fi-7700 helps improve the efficiency of operations by providing a variety of functions that make scanning easier for the user. 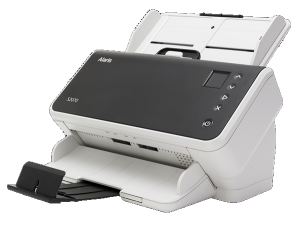 The scanner is equipped with an ADF that can slide to the right or left or rotate 180 degrees. A user can load documents easily for scanning by adjusting the ADF to suit the user's office or workspace environment. The operational panel is equipped with an LCD to easily check the status of the scanner. The Cover-open Cropping function automatically recognizes the document’s size, even when the cover is opened, and eliminates the hassle of opening and closing the cover when consecutively scanning documents. 2 in. x 2.72 in. 12 in. x 17 in. 12 in. x 220 in. 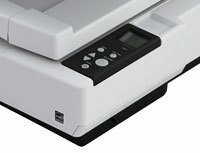 The Imprinter Option is NOT available on the fi-7700. 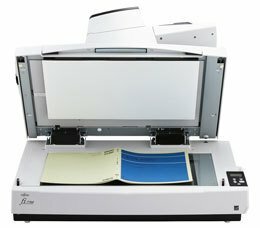 There is a black background pad that can be used for scanning with the flatbed. This model only comes with a 90 day warranty. 2 and 3 year options are also available. Please call for pricing! 2 and 3 year extensions are available.